Whether you're busy running your own business or busy keeping track of a million things at once, it's hard being a girl boss. You need a planner that helps you stay on top of everything at once, while still being functional and cute at the same time. The video at the end of this post will go into a lot more detail about each of these planners, but I wanted to do a write-up still just in case you aren't following my YouTube channel yet. I talked about the Get to Work Book in yesterday's post if you want to see it in action and full of planner stickers, but I'm obsessed with this planner for working gals. 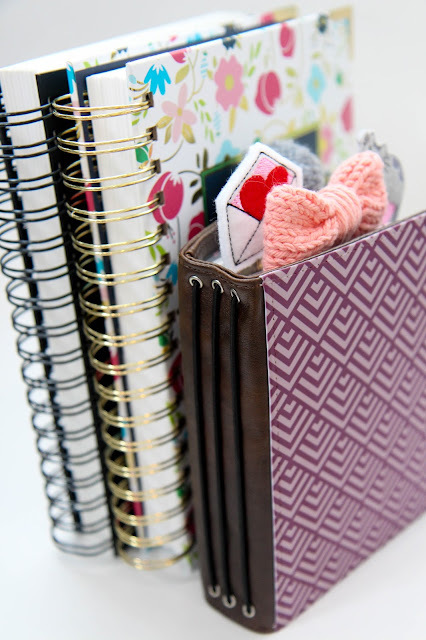 It strips down any of the unnecessary fluff of most planners to give you exactly what you need. It has a gorgeous lined view weekly spread with room for top three priorities, space at the bottom for doodles, and tons of room for to do lists. Although I do love the Get to Work Book, I still can't get over my love affair with the Erin Condren Hourly Planner. It's the longest running layout in my life because the time sections are so helpful when my schedule is super busy, but can easily be ignored if I don't have set times for things. It's colorful to keep my life bright and fun, while still being practical. I also love the monthly note pages and the twelve boxes at the front of the planner to track work accomplishments. The planner just lends itself to busy schedules. The Plum Paper Planner is a more affordable option to the ECLP, but it also has some seriously awesome add-ons and layouts. You can add tabs in to the back of your planner for anything from blogging to mileage tracking and more. They break down their add-ons into different categories to see exactly what they have to offer. It's super easy to get a really customized planner to suit any of your business/girl boss needs. If you don't need a lot of customization, but do need tons of space to write things every day, the Simplified Planner is perfect for you. It's a daily planner rather than weekly, so there's tons of room each day to write meetings and to do lists. I love everything about this planner, but I just don't have enough scheduled events to justify using it to its fullest. It's definitely one to consider if your life is super hectic and you have to be a million places in a day. If customization seems like exactly what you need, a traveler's notebook could be the perfect tool. It's the king of customization and you can add in notebooks for every project and category in your life. Oh, Hello Stationery is going to be releasing a line of notebook covers soon (like the one I show you in the video below), so don't forget to sign up to the newsletter if you want more information. There are a TON of planners out there that could work for your girl boss needs, but these are my favorites for helping to get things done. What are your favorite planners?